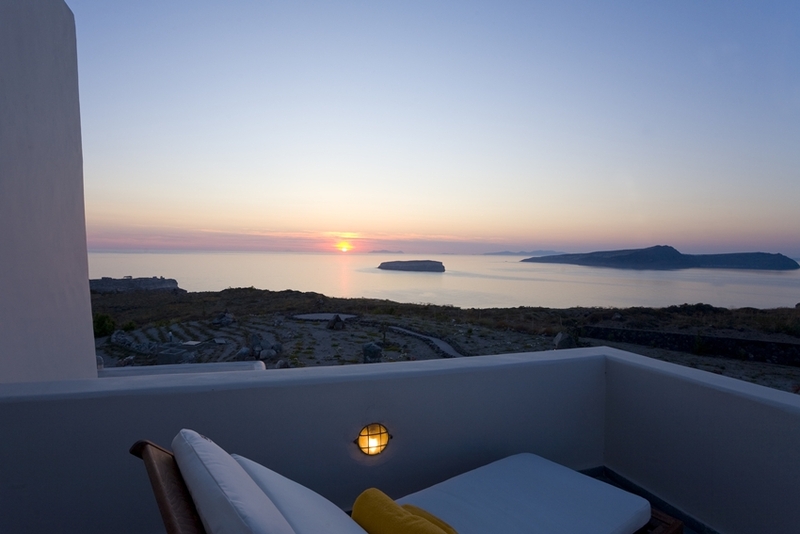 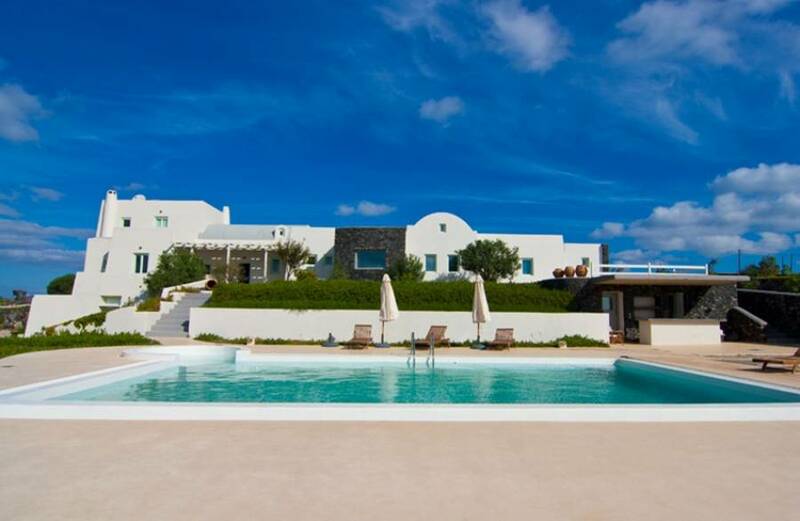 Amberoid Villa is a newly built property with all the ingredients to make sure you have a fantastic stay in Santorini. 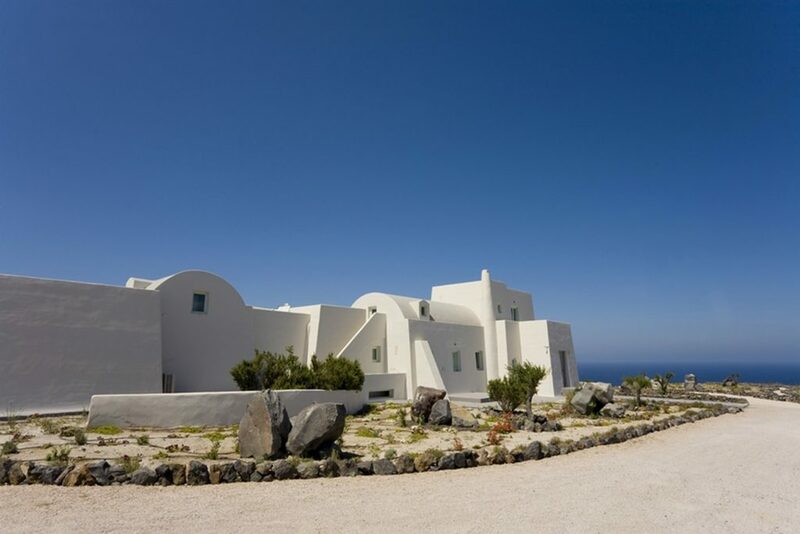 Located in the area of Akrotiri it offers outstanding caldera views, a private swimming pool with a spacious terrace and 5 bedrooms all with en suite facilities. 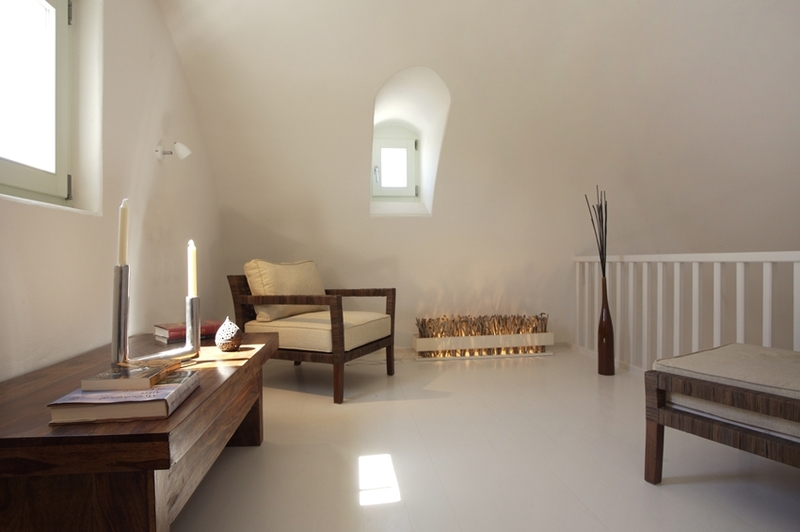 The interior is decorated in a contemporary Cycladic style with soft tones and natural wood. 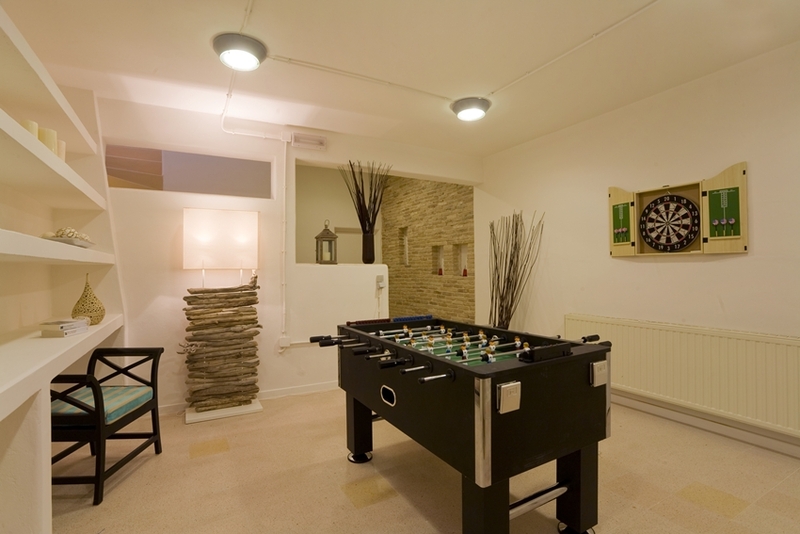 The house features a comfortable lounge, open plan dining room kitchen and a cosy games room. 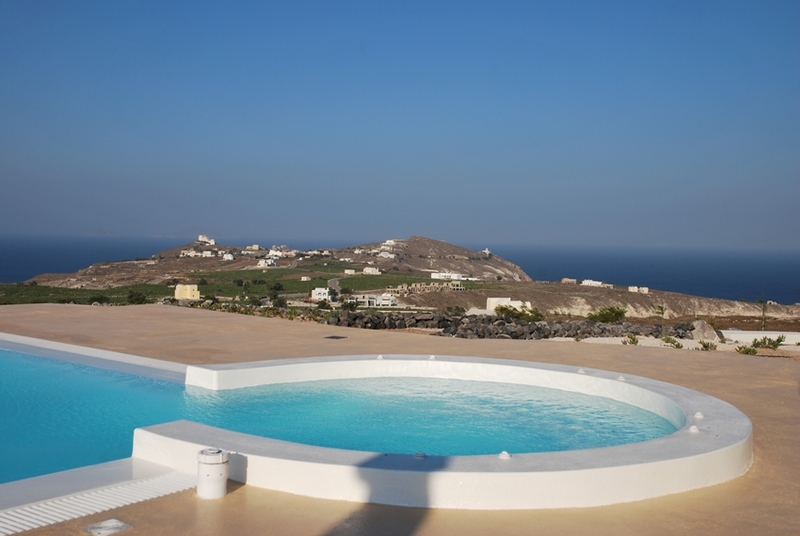 The 5 bedrooms are distributed over 3 levels and all come with an en suite bathroom plus great views. 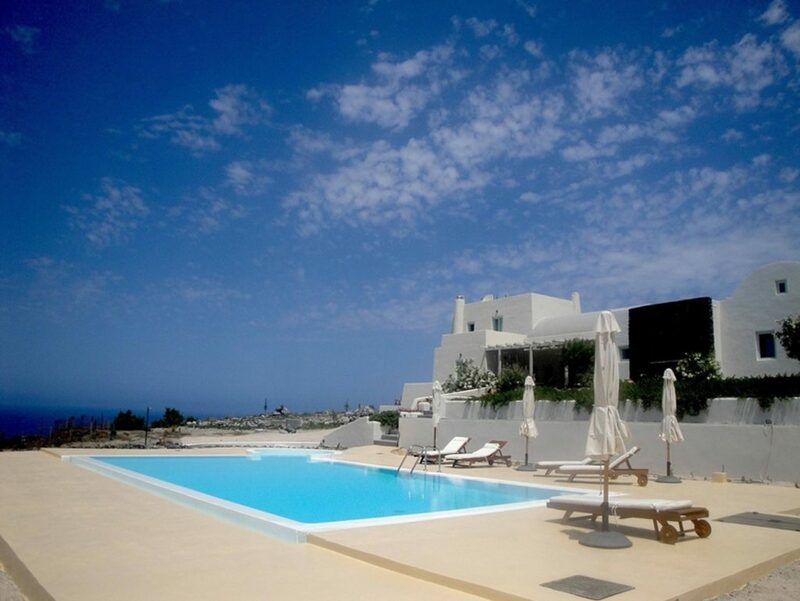 The large terrace has wonderful sea views and a large private swimming pool with adjoining jacuzzi. 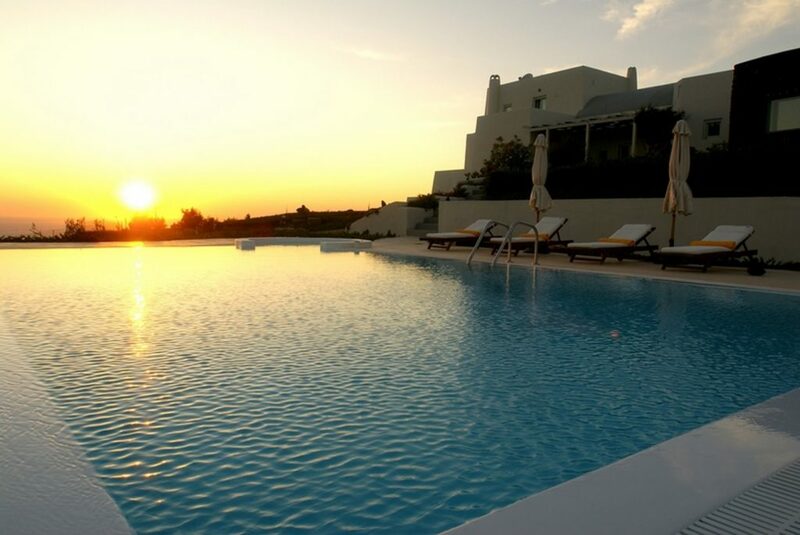 Here you will also find poolside sun loungers, dining area with BBQ facilities. 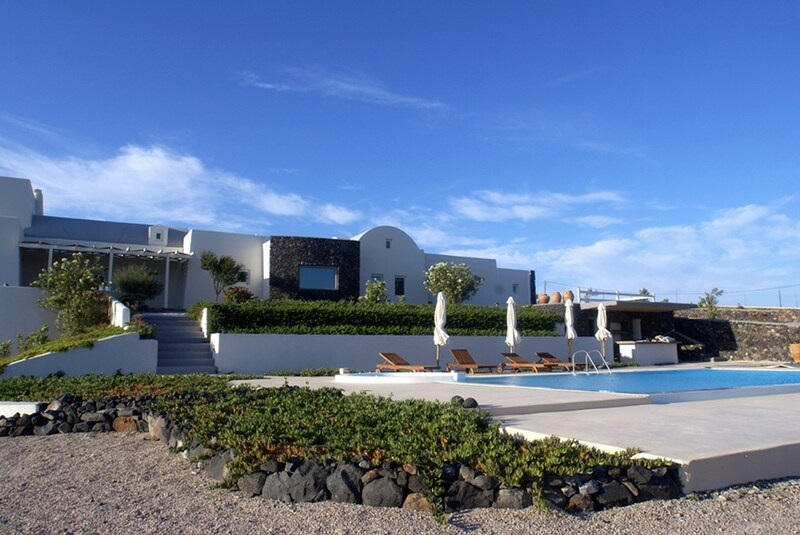 An extra feature of this property is a fully equipped professional recording studio. 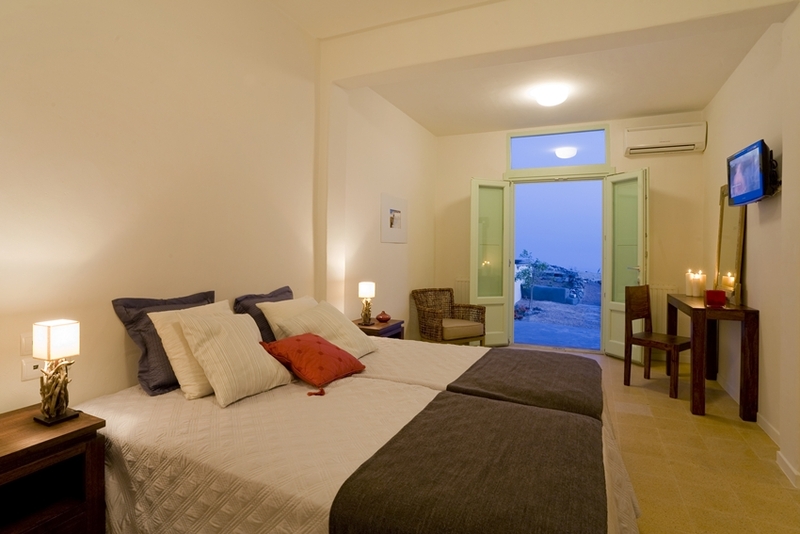 Bedroom 1: With twin beds and en-suite bathroom with shower plus a small seating area. 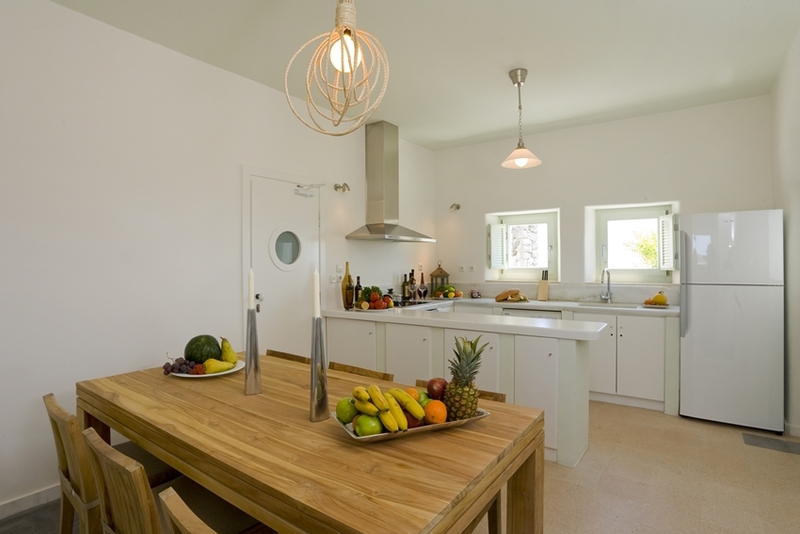 Open plan kitchen with dining area. 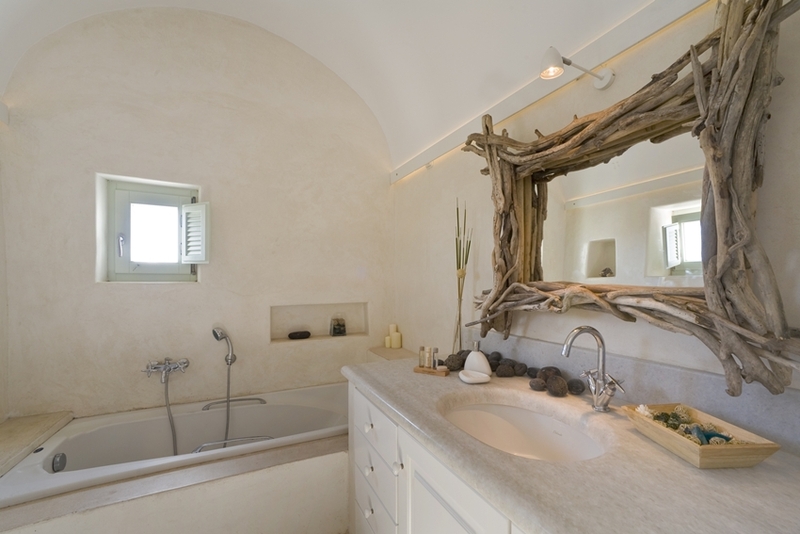 Extra full bathroom with bathtub. 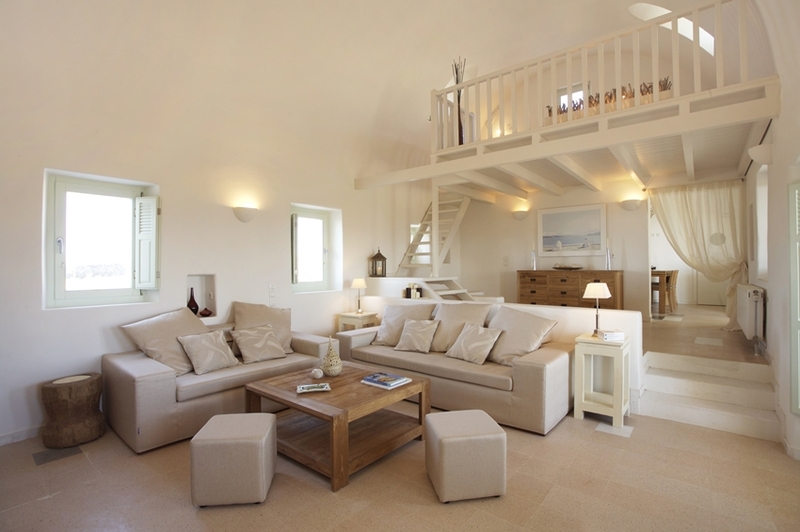 Master suites x 2: Both with en-suite bathrooms. 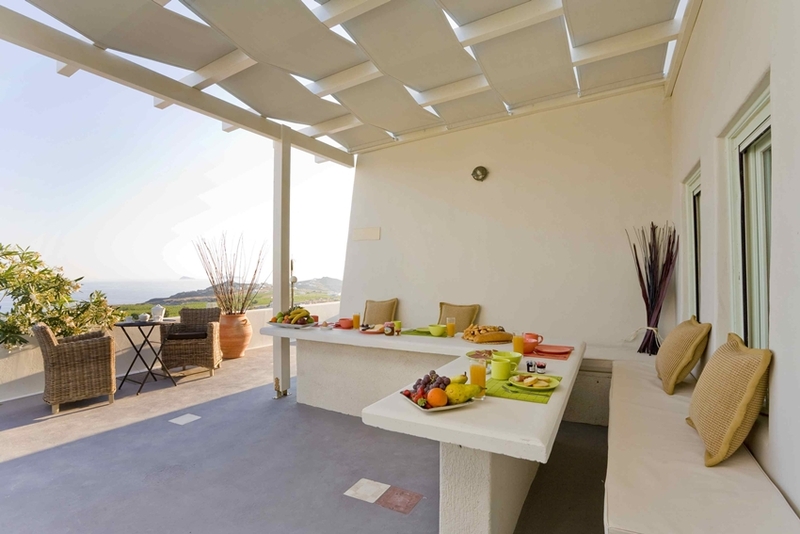 This level features a large comfortable lounge area.